Microsoft Office 2019 is available since 24th September 2018, it was released for commercial customers. Microsoft Office 2019 is the latest version of Microsoft Office. It brings new features that were added to Office 365 over the past few years to Microsoft Office 365. Microsoft Office 2019 only supports Windows 10 Operating System, if you're running Windows 7 or Windows 8.1, it's recommended to upgrade your system before using Microsoft Office 2019. Also worth mentioning that Microsoft Office 2019 cannot run alongside Office 2016. 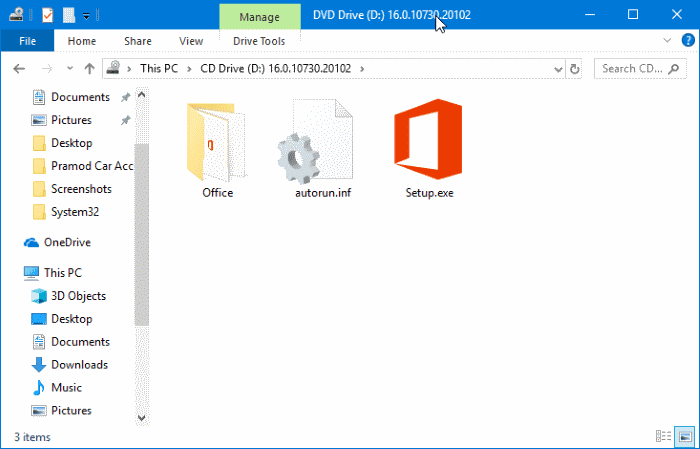 You will need to remove your Office 2016 in order to be able to install Microsoft Office 2019. You can download Microsoft Office 2019 ISO by using Microsoft Windows and Office ISO Download Tool by Heidoc. It's a free tool to let you download original ISO files directly from Microsoft. Also Microsoft Windows and Office ISO Download Tool can download Office for macOS too ! 1. Download Microsoft Windows and Office ISO Download Tool by Heidoc here. 2. Run the program as admin, just wait couple seconds to let the program open. If you see a video ad, you can close it. 3. Switch to Office Tab and select Office 2019. 4. Now choose Office 2019 Edition edition and language that you would like to download and then click on the Download button to begin downloading the image file. It's recommended to use downloader for faster download, i recommend you to use Internet Download Manager. 5. Once the download is finished, open Office 2019 --> right-click on the image file and then click Mount option to mount it in File Explorer and Visit This PC in File Explorer to see the mounted image. 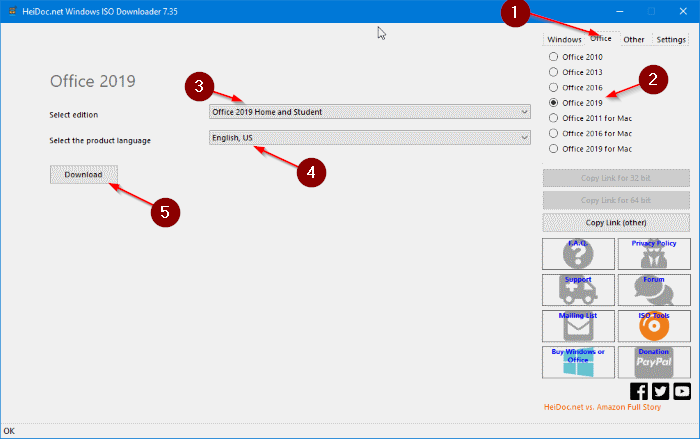 Double-click on it to see the setup file of Office 2019. 6. After installing Office, you will need to activate either by using your Microsoft account or entering the product key. If you want to see setup file for both 32-bit and 64-bit, open up the Office folder (See to the picture above).